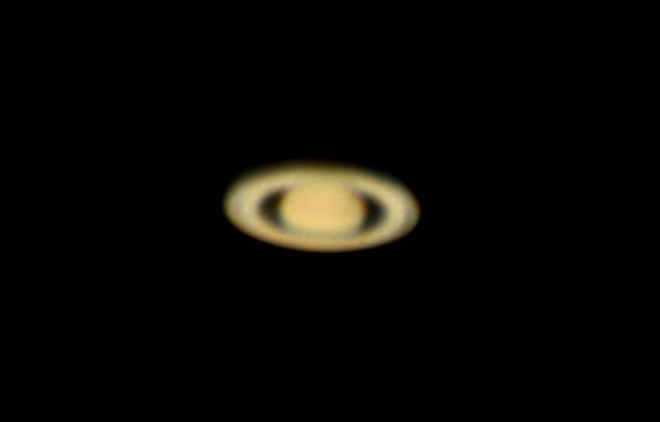 So for a while now, Saturn is appearing in the night sky. A couple of weeks ago, it would just barely show up in the end of the night, but now it is present for almost the whole night time. Saturn is the most amazing looking planet, with its majestic rings. So I always wanted to take a picture of it. But still planetary imaging is not what I am used to do. And the process is very different from Deep Space Imaging. First thing, I just upgraded my telescope to Hyperstar, and since then I hadn’t collimated my telescope secondary mirror, because I wasn’t using it. So for the first time I tried to collimate it. It is a very sensitive and precise adjustment, and I found it quite hard to achieve. Spend a long time screwing and unscrewing the collimation screws and never seems to be perfect. Once I was satisfied with it, I pointed the telescope to Saturn. First thing I struggle a lot with focus in here. It never seems right. And since Saturn was quite low in the sky, it had a lot of atmospheric disturbances. Second struggle is to set proper ISO and exposure. They never seems good enough. It is to bright or too dark. In the end I got this featureless Saturn. It doesn’t give the credits it deserves. But I will try it again other times, and see if I can get better results in the future.